The temperature might consistently be between freezing and “no way am I going outside right now,” but that doesn’t mean the best ice cream makers in the country are giving up on frozen desserts. Here, seven must-try holiday ice cream flavors from cranberry chip to a boozy mint delight inspired by Santa. The Portland/L.A. creamery is always pushing boundaries with its flavor combinations. For the holidays season they blended brown butter and roasted chestnuts for a cold version of a Christmas classic. Fans of whole cranberries will find plenty of them in here. Jeni Britton-Bauer uses Michelone bourbon distilled in her home state of Ohio for a spiked treat. A Hanukkah-themed flavor good for topping latkes, if you’re that sort of person. Save yourself some baking effort at holiday dinner and ditch the real pie for the ice cream version. 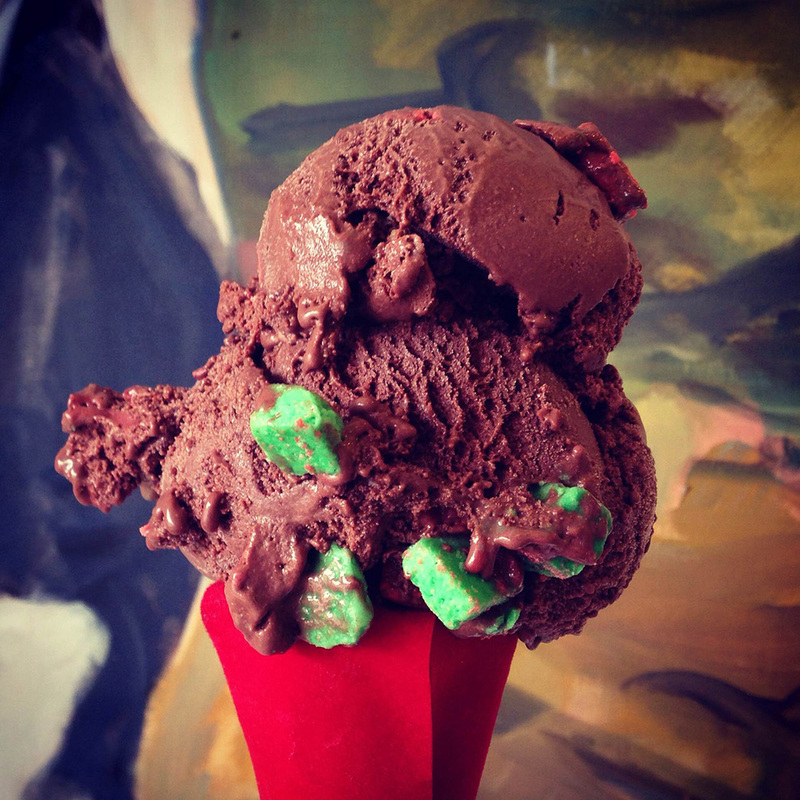 Chocolate peppermint ice cream with a boost from a hit of peppermint schnapps. Now that we’ve gotten some space from pumpkin spice mania, we’re ready for a pint from Brooklyn made with actual pumpkin.